Veritas Legal Plan | Bankruptcy is not for everyone, but it might be your best solution! Bankruptcy is not for everyone, but it might be your best solution! To many people, bankruptcy is a bad word! They can’t even imagine the thought of things being so bad that they would do such thing. In their minds, filing bankruptcy will drive their names through the mud and leave them with a mark that will never go away! Well, they are wrong! Bankruptcy is certainly not for everyone. 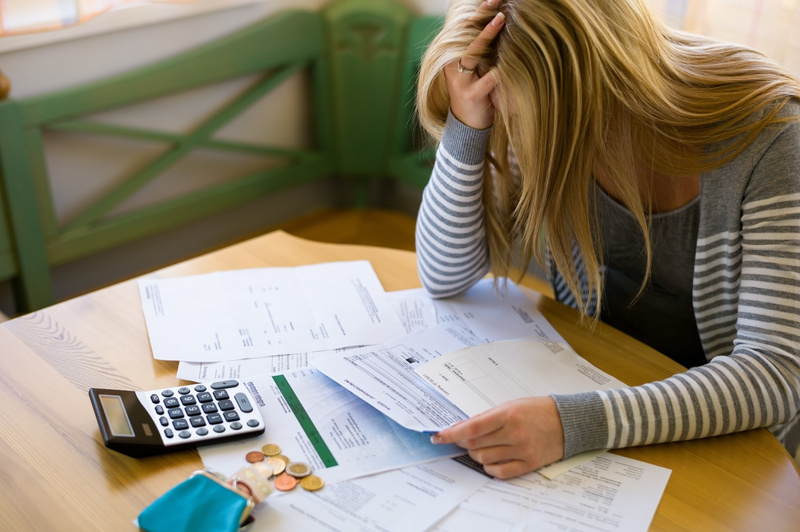 Bankruptcy will damage your credit and follow you for many years. However, bankruptcy may also save your house when all your bills are overwhelming and the threat of losing your house is real. It will give you financial peace when you are feeling there is no way out, and Bankruptcy is not that bad on your credit that you can’t start over again. Within a few years you may have good enough credit to buy a house or a car, when rebuilt the right way. Let’s start from the understanding that if you are not more than 6 months behind on your unsecured debt and can still afford to pay your minimum payments, a debt management plan is probably a better solution for you. (Go to the Financial Counseling Association of America website for an agency covering your area). With that being said, if you cannot afford your minimum payments or the accounts are more than 6 months past due, you will probably benefit more from filing for Chapter 7 Bankruptcy than any other debt relief plan. The question is, do you qualify for Chapter 7, and are your state’s exemptions covering all your assets? Chapter 7 Bankruptcy is not for everyone and you do have to qualify for it. Each state has its own qualifiers, while most people think that it has something to do with the size of their debt, they are wrong, it is mostly based on your income and the size of your family. Each state also provides you with exemptions when you file for Bankruptcy. These exemptions are there to help you keep some of your assets from being sold to pay the creditors. Again, those exemptions depend on the state that you reside in. I could tell you to go search online for your state’s qualifiers and exemptions, but I am not that mean. Just call us at 877-745-5006 to be connected with a Bankruptcy expert in your area. Although you can file for Bankruptcy on your own, it is highly recommended to have an attorney for this process. The attorney will be able to tell you, in advance, if you qualify or not for Chapter 7 so you have no surprises at the end. Once the attorney verifies all of your information, the attorney will have you take a pre-bankruptcy and post-bankruptcy court appointed credit counseling session. This step was added to the process so that a non-profit agency could give you all of your options and explain the process to you before you make your final decision. Once you complete the counseling, the attorney will be able to file the paperwork to start the process. When the paperwork is filed the court will assign a trustee to your case. The trustee is independent and is there to help you as well as the creditors as you go through this process. The trustee will review all your information and review your assets to confirm if you do qualify. The assets that are not protected under the exemptions may be sold and divided among your creditors. If you have no assets that are not exempt or once they divided the assets among the creditors, you will have to take a course on financial management, again your attorney should help your find a company that provides this course. Once you are done with the course and the trustee reviews everything, he/she will finalize your bankruptcy and you will receive your Bankruptcy discharge in the mail. The discharge document is the proof that you no longer owe those debts and they should no longer be trying to collect from you. You should then see your credit reports being updated, showing that those accounts were included in the Bankruptcy. Although that information will remain on your credit report for 10 years, the longer in the past it is, the less it will count on your score. Make sure to start building new credit as soon as the discharge is final. Just like the time helps your credit, the new, positive credit will also help minimize the effects of the Bankruptcy on your credit score. Veritas Legal Plan has partnered with a reputable company and includes Credit Restoration as a service. Bankruptcy can be a stressful process, and that is why you always want to make sure to have the right people to give you support. The Veritas Legal Plan will be able to get you the support you need with our plan attorneys. Before making any decisions, call the Veritas Legal Plan at 877-745-5006 to understand your benefits under the legal plan and to be assigned to a Bankruptcy attorney in your area for a free consultation. Click here to receive our monthly newsletter and never miss and article!